A roof can offer so much more than shelter, protection and peace of mind. Today a roof can also be a power station, a living space, a vertical garden, even a work of art. We’re here to help people find the perfect roofing solutions for the places where they live and work. So they experience the true potential of roofs. 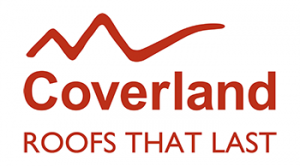 Coverland began in 1949 as Vereeniging Tiles Limited and evolved over the years to form part of an international group, the BMI Group consisting of 152 production facilities and operations in Europe, the US, Asia and South Africa. BMI Group was established in 2017 following the coming together of Braas Monier and Icopal. The combined heritage of these two groups represents a rich history of delivering roofing and waterproofing excellence to customers and brings together some of the biggest and most trusted names in the industry.